John Gordon is a founding member of the law firm of Gordon Bibart, LLC. Mr. Gordon's primary areas of practice center on business and commercial transactions, federal income tax matters (including appellate practice before the IRS), entity selection and formation, mergers and acquisitions, capital formation and private offerings. Mr. Gordon also advises clients on a wide variety of general business and federal tax matters, including complex business transactions and documentation, intellectual property matters, executive compensation arrangements and employment related matters. Prior to forming Gordon Bibart, LLC, Mr. Gordon served as general counsel of several Columbus based companies. Mr. Gordon also is a former partner of Porter, Wright Morris & Arthur, where he practiced in the business and tax departments. From 1987 to 1995, Mr. Gordon served as Vice President, General Counsel and Secretary of Red Roof Inns, one of the largest privately held motel chains in the U.S. Mr. Gordon was a principal participant in the sale of Red Roof Inns in 1995 to the Morgan Stanley Real Estate Fund. 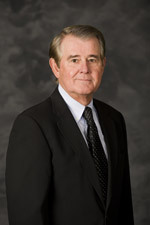 From 1999 to 2003, Mr. Gordon served as Vice President, General Counsel and Secretary of Mindleaders.com, Inc., a pre-IPO company engaged in on-line learning. From 2003 to 2009, Mr. Gordon was primary outside legal counsel for AirNet Systems, Inc., a public company engaged in expedited air transportation. Mr. Gordon was one of the principal attorneys in the sale of AirNet's passenger charter subsidiary, Jetride, Inc., in 2006 and the merger of AirNet in a going private transaction in 2008. Mr. Gordon has a diverse business background, assisting clients with financial analysis, business planning and risk management. In addition to his legal representation of clients, Mr. Gordon served as President of Red Roof Equities, Inc., an entity formed to acquire and manage multi-family housing projects during the savings and loan financial crisis. Mr. Gordon is a member of the American and Ohio Bar Associations and has been admitted to practice before the United States Tax Court and the United States District Court, Southern District of Ohio.